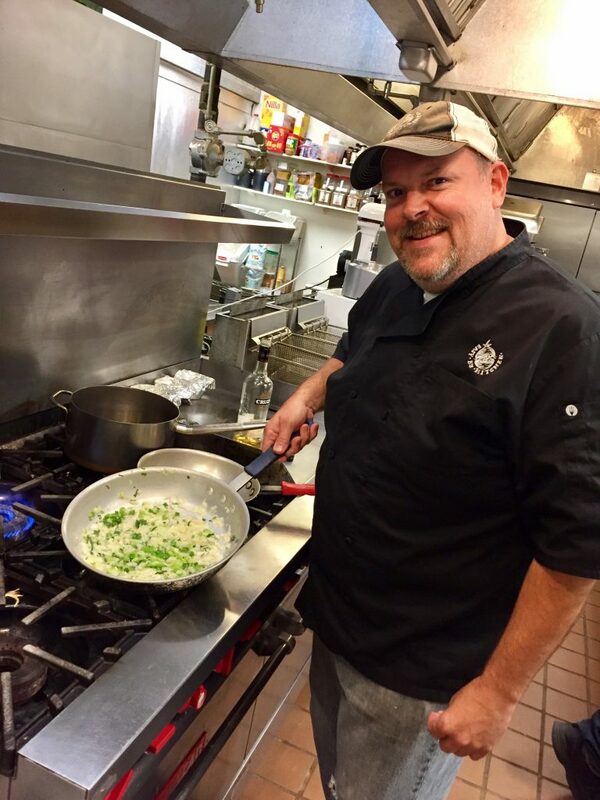 Meet Chef Tim Broxton! Tim is a longtime Gainesville resident own’s local catering company: Easy B’s Kitchen. You may have tried his tasty creations at a wedding or celebration, the Junior League, Inman Perk, the Farmer’s Market on the Downtown Gainesville square; among others. Tim has made it his mission to create ‘Eat Better’ foods and dining experiences for locals. Tim added that his favorite restaurant in Hall County is Atlanta Highway Seafood Market. “I order three fried shrimp, three fried oysters and a grilled piece of grouper,” he said. We want to thank Tim for taking the time recently to tell us a little more about his life and love of Hall County.